Sir Terry Pratchett was aware of the moment he was “dead.” An upcoming BBC2 special called Terry Pratchett: Back in Black draws from the author’s unfinished autobiography to tell the story of his life, from humble beginnings to his death in March 2015 at the age of 66. After his diagnosis, Pratchett set out to fight and bring awareness to the disease. In a 2009 documentary by the BBC, he showed his early struggles with Alzheimer’s and highlighted the current treatments. Game for anything, Pratchett took the conventional treatment of medication to slow the disease’s progress, as well as investigated alternative treatments. 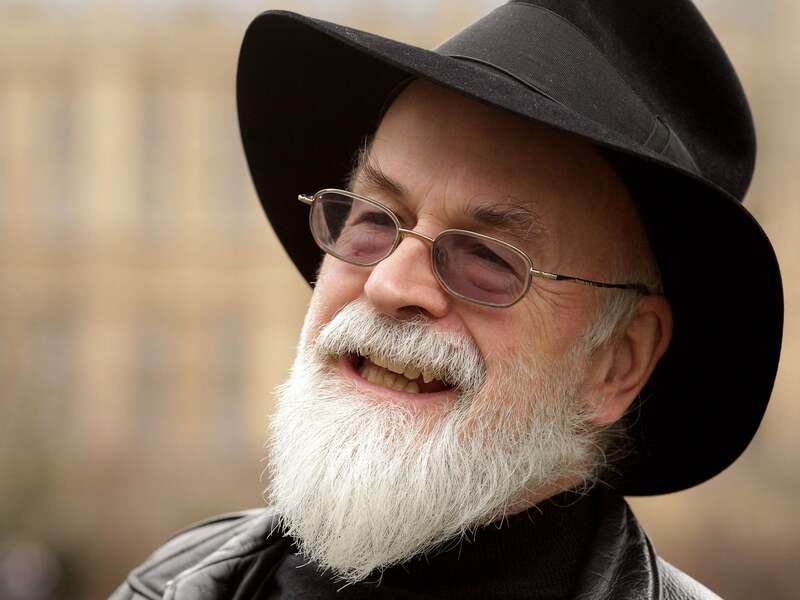 Even as early as 2009, viewers could see how Alzheimer’s was affecting Pratchett’s work. Wilkins recalls how Pratchett was angered by his disease. He would get frustrated as it was getting in the way of his writing. And yet, while he continued to decent into the haze of Alzheimer’s, Pratchett wrote a staggering 7 novels after his diagnosis. His last work was his autobiography. It was while working on this that Pratchett said to Wilkins completely out of the blue “Rob, Terry Pratchett is dead.” While Wilkins tried to convince Pratchett that they did good work that day, Pratchett continued to insist that Terry Pratchett was dead. The BBC2 special Terry Pratchett: Back in Black contains footage of a frail looking Pratchett and features Rob Wilkins. The documentary came out on February 11th, and early reviews say that it brought tears to the eyes of fans. Sir Terry Pratchett came from humble beginnings. He was the son of a mechanic and a secretary and was often bullied in school for his speech impediments. He began his career as a journalist and became a full-time writer in 1987. He is best known for his Discworld novels, which were popular with readers but often dismissed by critics. They sold over 70 million copies and were translated into 37 languages. He wrote 70 novels over the course of his career and is on the United Kingdom’s most successful writers list. He also was knighted in 2009 (How cool is that?! ).Earlier this year it was announced that Good Omens, a book he wrote with friend Neil Gaiman, was going to be made into a series by Amazon Studios to be released in 2018. What is your favorite novel by Sir Terry Pratchett?